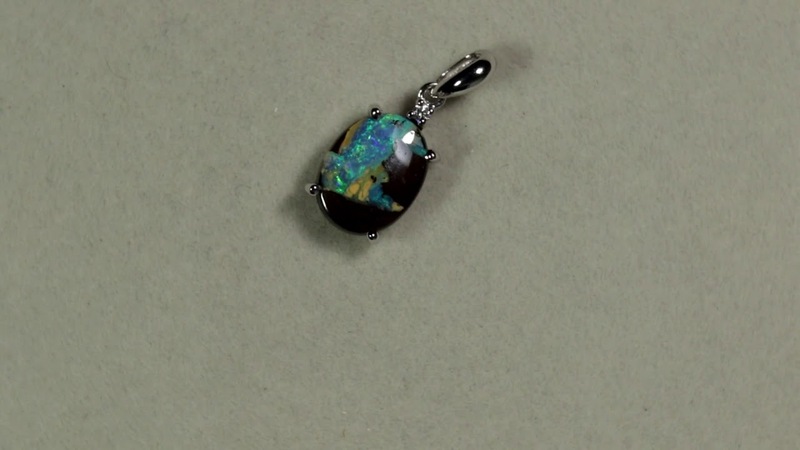 This wonderful piece of Australian Boulder opal sparkles with flecks of green and hints of blue on a deep brown base. 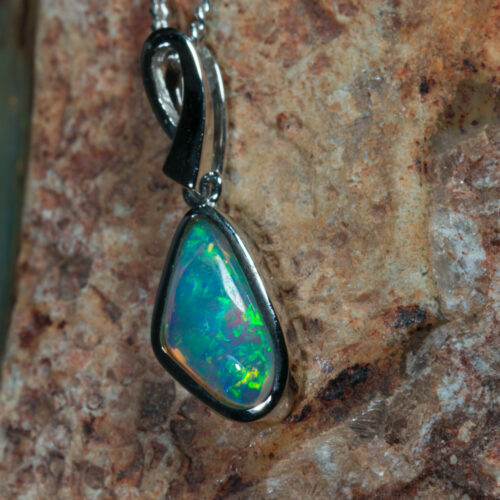 The Opal is housed within a silver enclosure with bail. 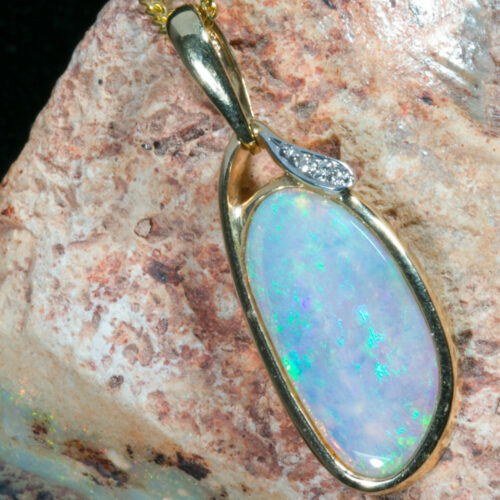 An additional accent stone of unknown origin accompanies the opal. Highly polished to bring out the opal fire. The piece comes with a display chain of matching colour and display box. Please Note that stone measurements are approximations.